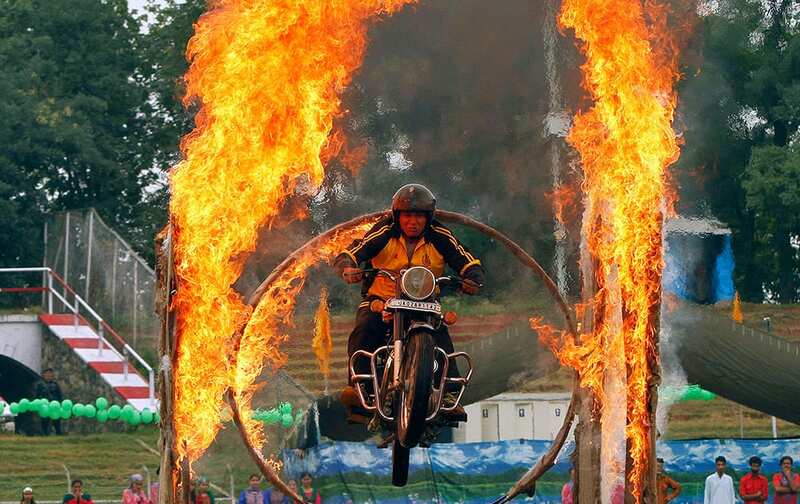 A policeman drives through a burning ring as he performs a daredevil stunt during the 69th Independence Day celebrations in Srinagar. 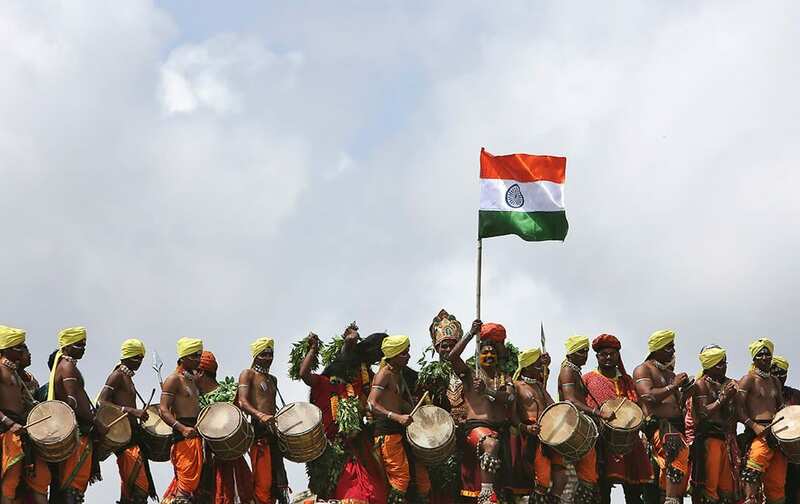 Artist hold the national flag during the 69th Independence Day celebrations at Golconda Fort in Hyderabad. 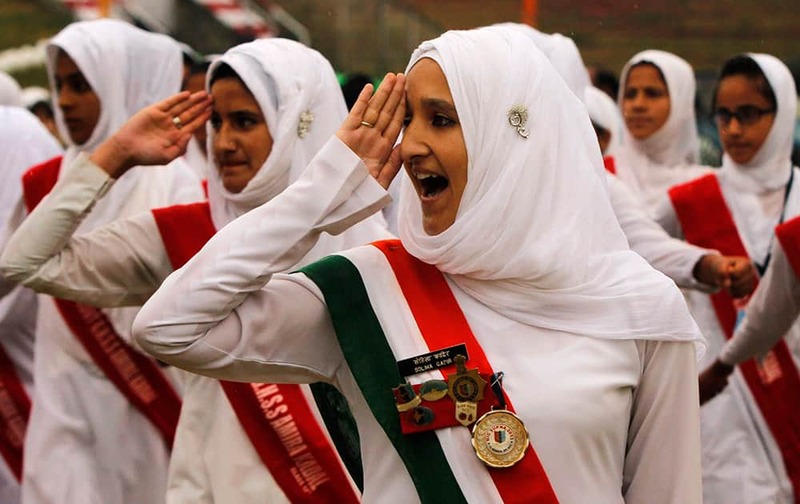 Kashmir students salute during the 69th Independence Day celebrations in Srinagar. 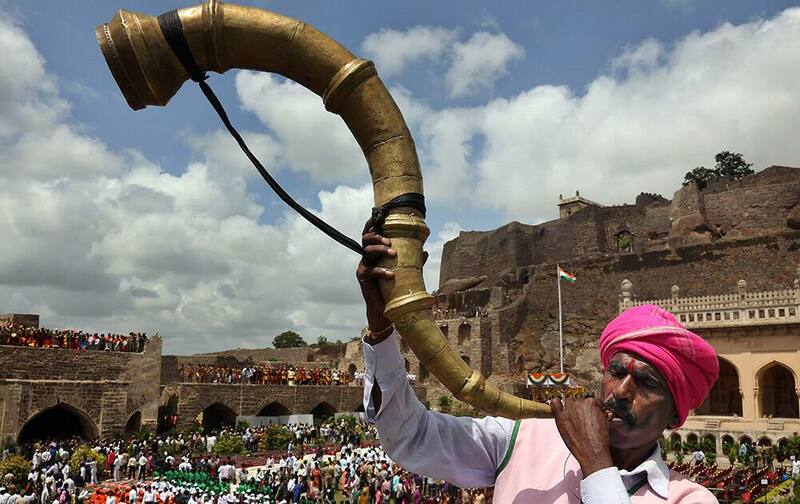 A artist blows a traditional instrument during the 69th Independence Day celebrations at Golconda Fort in Hyderabad. 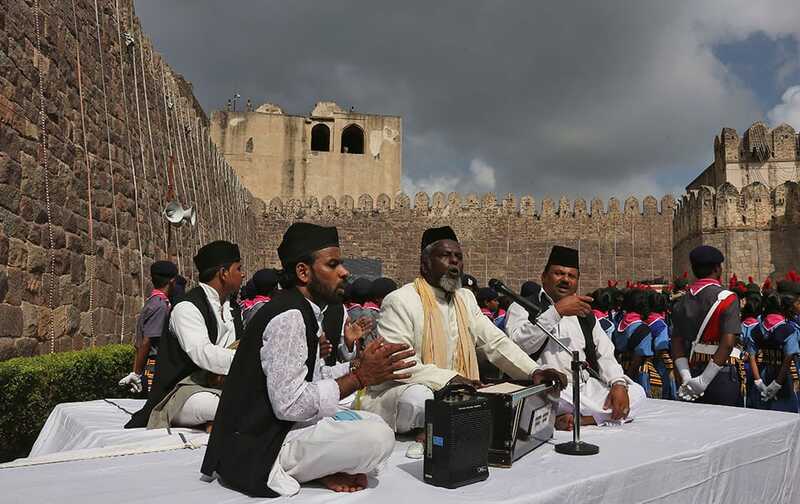 Artists sing as they perform during the 69th Independence Day celebrations at Golconda Fort in Hyderabad. 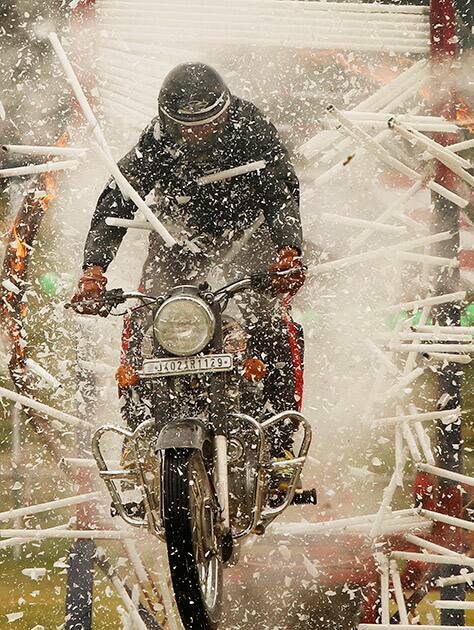 An Indian policeman performs a daredevil stunt during the 69th Independence Day celebrations in Srinagar. 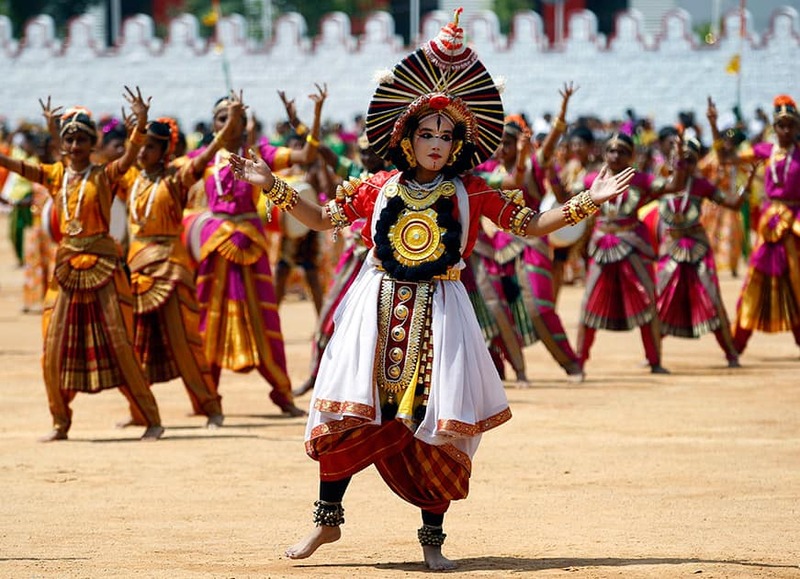 Students dressed in traditional attire perform on the occasion of India’s 69th Independence Day in Bangalore. 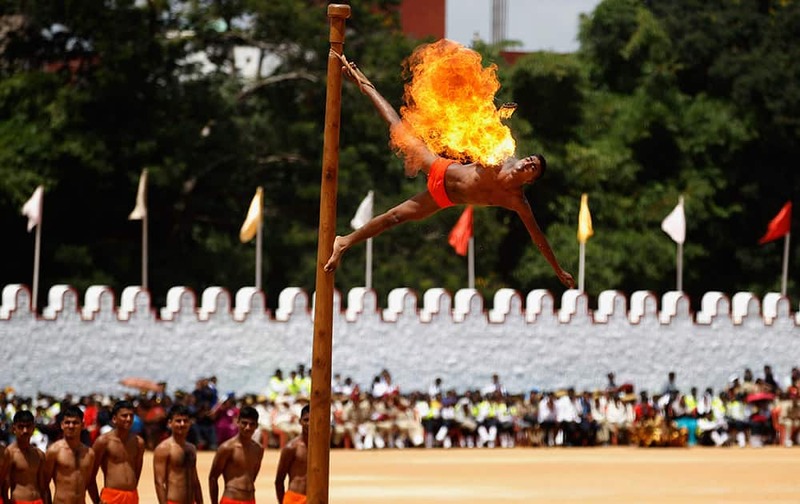 An Indian army soldier performs Malkhamb, an ancient form of Indian gymnastics, on the occasion of India’s 69th Independence Day in Bangalore. 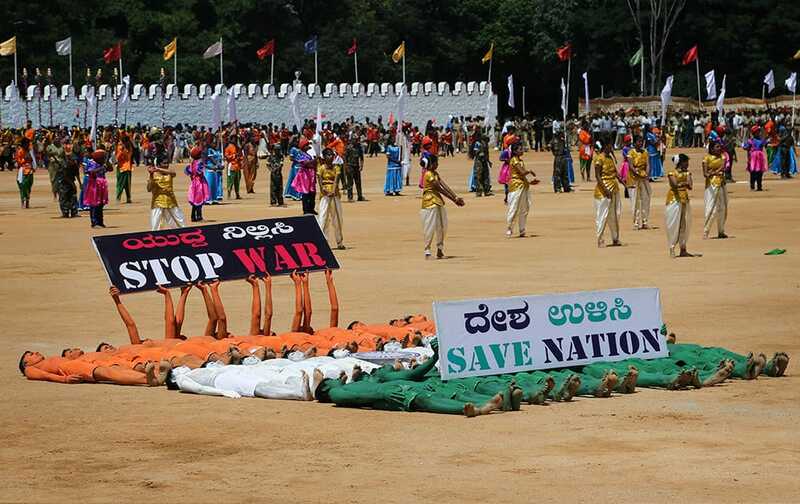 Students hold placards to convey a message as they perform on the occasion of India’s 69th Independence Day in Bangalore. 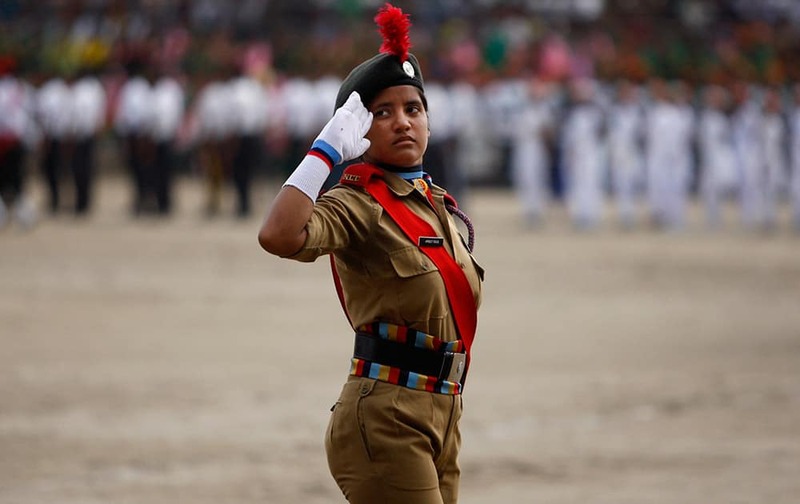 A cadet of the National Cadet Corps (NCC) participates in a march on the occasion of 69th anniversary of India's independence from British rule, in Jammu. 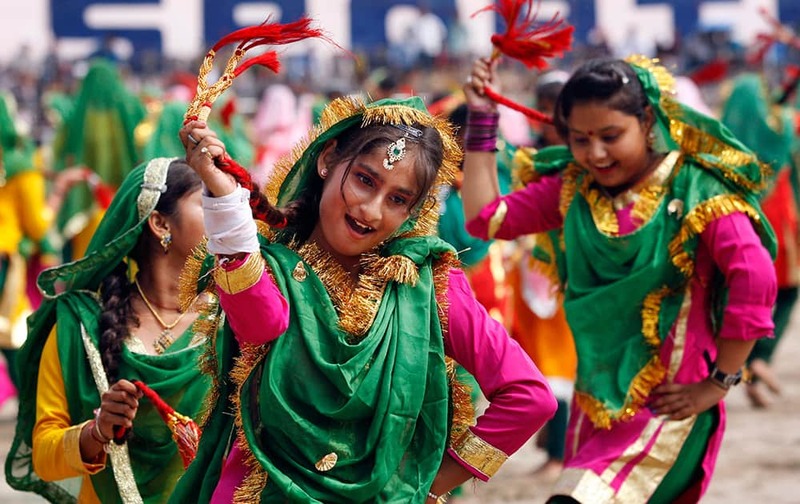 School girls, dressed in traditional attire, perform on the occasion of 69th anniversary of India's independence, in Jammu. 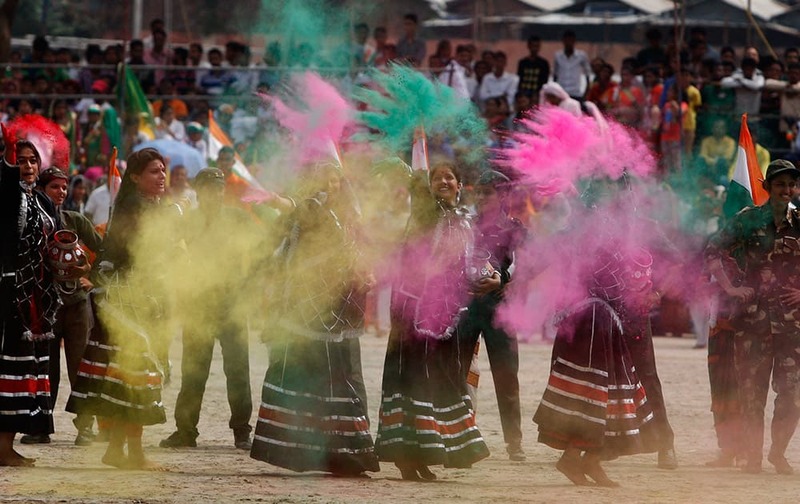 School girls throw colored powder as they perform on the occasion of 69th anniversary of India's independence, in Jammu. 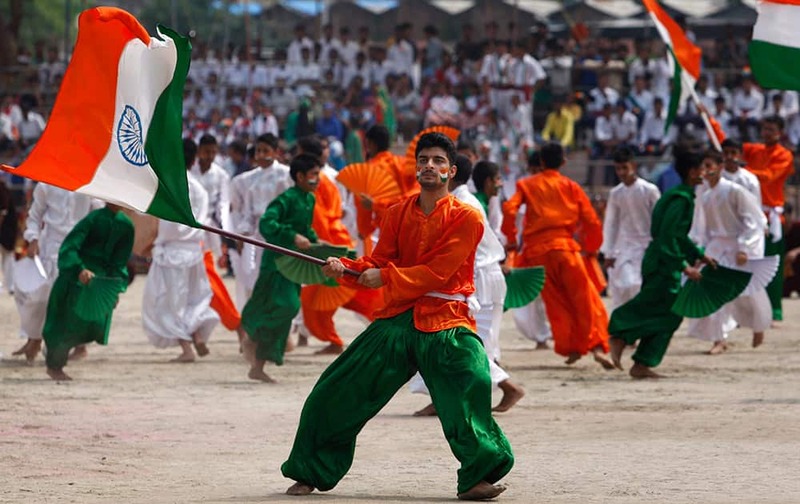 School student perform on the occasion of 69th anniversary of India's independence, in Jammu. 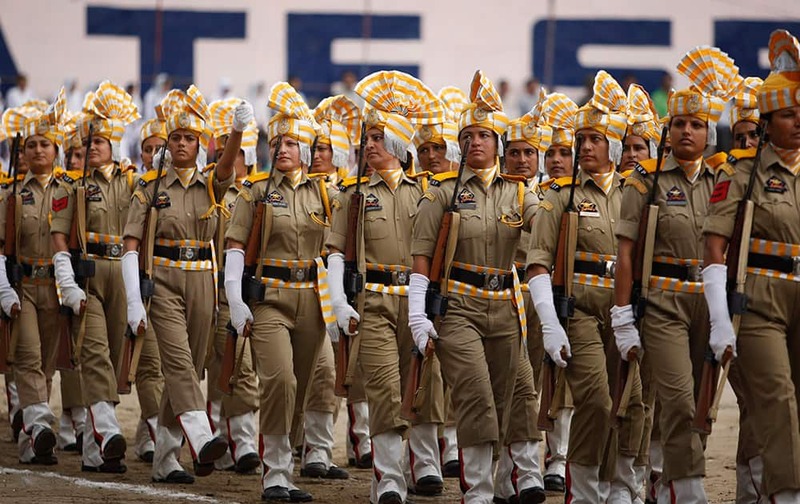 Women of Jammu and Kashmir police march on the occasion of 69th anniversary of India's independence, in Jammu. 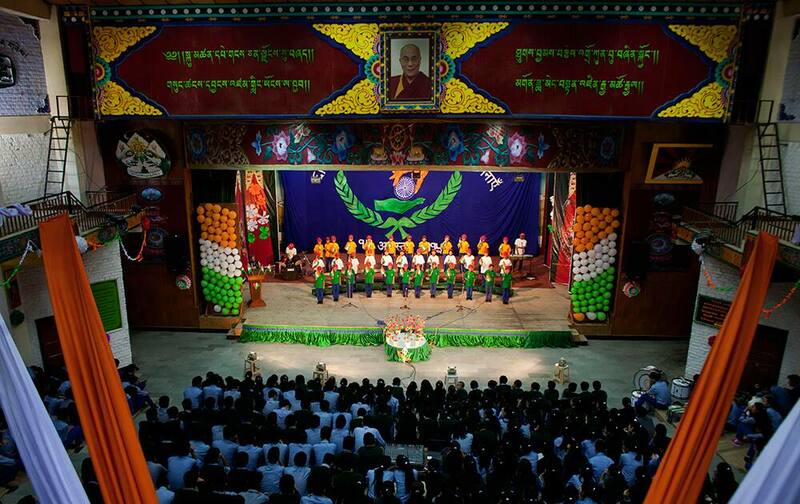 Exile Tibetan children dressed in Indian national flag colours sing a song at the Tibetan Children's Village school to mark India’s 69th Independence Day in Dharmsala. 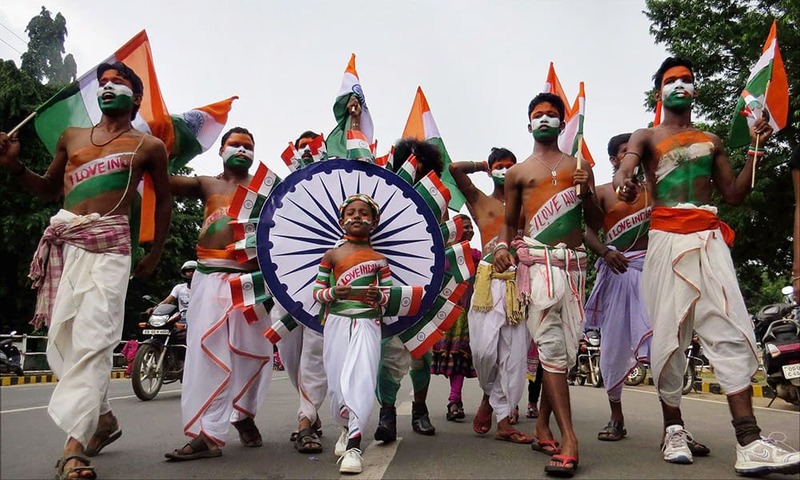 Boys take out a procession on the eve of Independence day in Bhubaneswar. 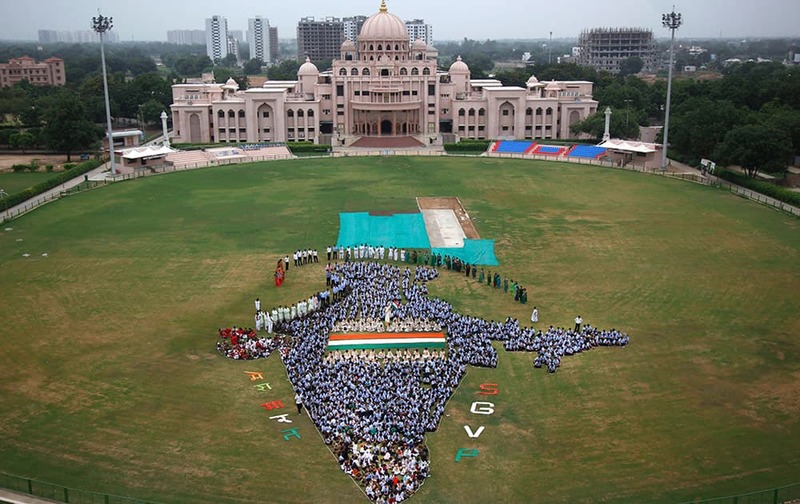 Students and teachers of Swaminarayan Gurukul form the map of India on the eve of Independence Day in Ahmedabad. 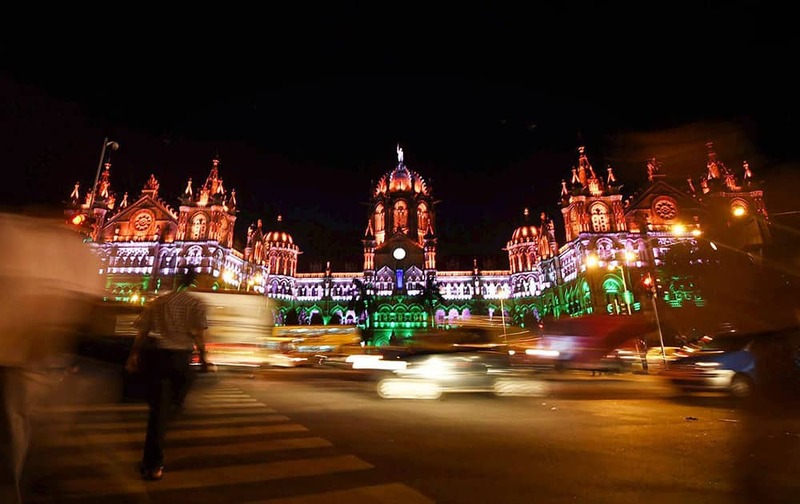 Mumbai's iconic Chhatrapati Shivaji Terminus (CST) building is illuminated in colored lights as part of India's Independence Day celebration in Mumbai.